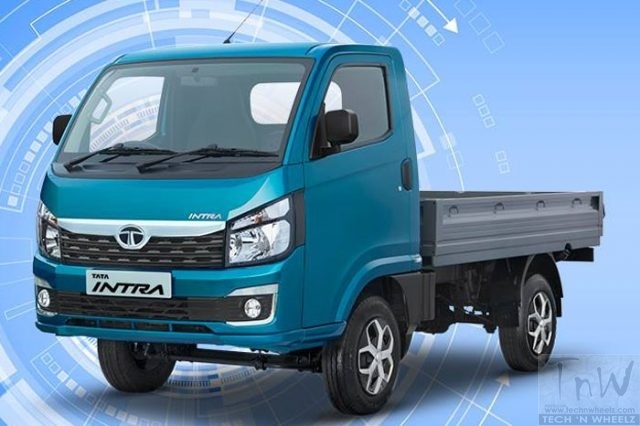 Tata Motors unveiled the Intra 1.1- all new compact truck set to re-define the small commercial vehicle (SCV) segment in the country. Tata Motors have pioneered the SCV segment in India in 2005 and since then have sold over 20 lakh vehicles. With the Intra, Tata Motors hopes to further enhance the customer experiences in small commercial vehicle industry with its next levels of performance, comfort & convenience. According to company, the Intra represents the changing face of Tata Motors in the journey towards shaping the future of mobility in the country. The Intra platform is an architecture that is scalable, agile and allows Tata Motors to create a pipeline of products and provide multiple options to consumers. Tata Intra is the first product that boasts of ‘Premium Tough’, a new design philosophy specially aimed for commercial vehicles that combines rising levels of visual richness and sophistication with robustness and reliability. Lower turnaround time leading to higher no. of trips through enhanced acceleration & speed. Features: Power Steering, Mobile Charger point, Lockable Glove Box, Storage on Dashboard & Door trims, Electronic Cluster, Car like Interiors. Tata Motors also unveiled the Intra 1 – with a payload rating capacity of 1,000 kgs which is powered by a 0.8-litre DICOR engine generating 40.2 hp (30 kW) max power and 96 Nm of peak torque and is paired to a GBS 65 5-speed gearbox with single-plate, dry-friction diaphragm type clutch. The new Tata Intra will reach dealerships in a couple of months, according to sources from the company. The mileage of Tata Intra is not available as of now. The details will be revealed after official launch of the vehicle. The official mileage figures will be available only after the launch of the vehicle.